While today's law enforcement officials currently have cash counters and other tools to help them identify and assess counterfeit operations, this hasn't always been the case. At various points throughout history, counterfeit cash has been successfully used by governments and individuals to undermine economies, hurt businesses and commit fraud. America's earliest eras saw widespread counterfeiting which, due to a lack of technology, deeply affected U.S. markets. From the founding of the U.S. through the mid 19th century, fake money was something of a homegrown epidemic, infecting the fledgling economy with its lack of authenticity. The Colonial Williamsburg Foundation explained that the pervasiveness of counterfeit money during these years was a constant threat against the American dollar, which was trying to break into a competitive international market. Because the dollar's value affected American commerce, which in turn further impacted the country's economic standing, maintaining a strong position among global currencies was of the utmost importance. Unfortunately, the type of money that was used in America's earliest eras was easy to replicate. Unmarked coins became the country's official currency in the latter half of the 17th century, explained the source, in an effort to streamline monetary exchanges between colonists. Counterfeiters soon found that if they shaved a bit of metal off each coin they acquired, they could easily create extra cash. To stifle this practice, England decreed that all coins had to be marked with ridged edges created using a special machine. While this deterred some counterfeiters, it didn't stop the problem completely. Because laws were still being made and implemented within the U.S., counterfeiting wasn't officially illegal in all colonies. The Colonial Williamsburg Foundation explained that people who wanted to make a business creating fake money simply had to move to a less-regulated part of the nation to continue their practices. Colonists wanted to introduce paper money into the economy as the country became more self-sustainable, explained Phys.org. This angered the British government, who wanted to maintain tight grips on the U.S., in part by forcing Americans to continue using British coins. When the Revolutionary War broke out, colonists took it upon themselves to start issuing bank notes, fanning the flames of conflict with their controlling government. In January 1776, British authorities decided to use counterfeiting as a war tool, reported the Colonial Williamsburg Foundation. The British printed reams of inauthentic bills, infusing them into New York's economy and causing genuine fiscal turmoil. According to the source, this event is known as "the first recorded instance of wartime financial sabotage," and has served as an inspiration for numerous similar attacks throughout history. While counterfeiting remained a serious issue well into the 1800s, useful and effective solutions were being experimented with starting in the early part of the 18th century. For example, in the 1730s, Benjamin Franklin created metal leaf castings that, when printed onto currency, created images that were nearly impossible to replicate, reported The New York Times. 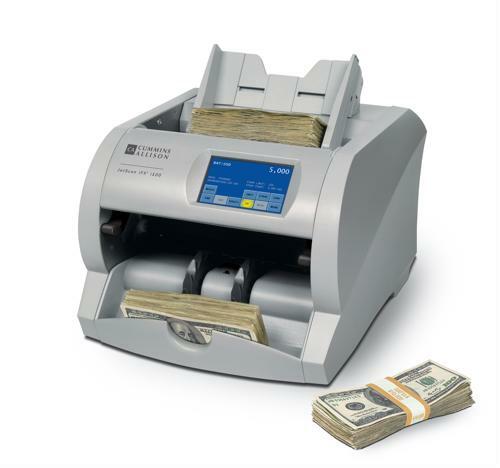 Today's law enforcement professionals are lucky enough to have modern technology, like cash counters, that have reduced the damage caused by counterfeiting.